Recently one of our regular maintenance patients at Progressive Chiropractic was involved in a very serious automobile accident. The car was totally destroyed and the patient suffered a good deal of soft tissue injury. Fortunately, as is the case with most of the people that receive regular Chiropractic care, the injuries were relatively minor in comparison to people we see who are not adjusted regularly. The answer for this is really common sense. When the spine is well maintained, with regular Chiropractic care, its ability to absorb the impact is greatly enhanced. 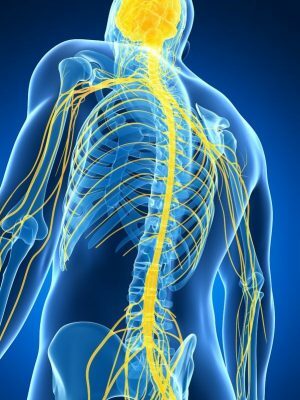 It is actually one of the most important jobs of the spine to flex and absorb impacts, in order to protect the delicate spinal cord. The spine adsorbs the energy much the same way our new cars do using shocked bumpers and crumple zones. By flexing and absorbing the energy we prevent breaking and tearing of the joints, ligaments, muscles and bones. Over the past ten years, I have seen the incredible difference between those under regular Chiropractic care and those that are not, when involved in any kind of high velocity injury. If you are not under regular Chiropractic Maintenance Care your not being proactive! The job of every person should be the “Maintenance of the body and the prevention of dis-ease and injury”. Next Next post: Are Your Headaches Misdiagnosed?